Crafter’s Choice color blocks are blocks of melt & pour soap that are highly concentrated with powder color. Color blocks, formerly known as color bars, are an easy and economical way to achieve excellent color in melt & pour soap. 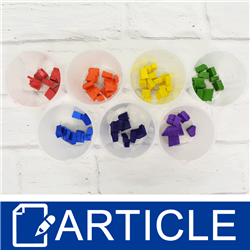 Use color blocks to color small or large amounts of soap, by simply melting a very small amount of the color block with your melt and pour soap base. Colors should disperse quickly and more thoroughly than powdered colors. Crafter’s Choice Color Blocks are available in a rainbow of colors and types, making them a perfect option for any MP creation. Not only can color block be used to color full bars of soap, but they are a simple way to fill small details in soap molds! The bright, true colors pop in small details and can make all the difference when using detailed molds. 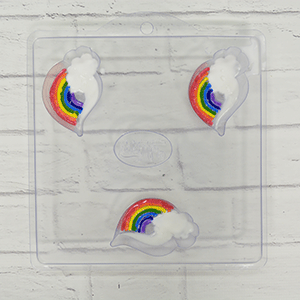 To show you how to use color blocks to fill in detail, we chose seven different colors and the Milky Way™ Rainbow with Cloud Soap Mold (MW 574). Here’s how to do it. First, choose your color and cut it up into small chunks. Remember, these blocks are very potent and a little goes a long way. Before melting color, come up with a plan so that you can work quickly. Be sure to color the deepest details first and save the shallowest areas for last. The shallow areas overflow quickly and can flow into the surrounding details. Once you have a plan, you are ready to begin. On this particular mold, the cloud section is the deepest. To color this we used Crafter's Choice™ Detergent Free White MP Soap Base. Once the first color is melted (purple in this case), spray the mold with alcohol. This allows for the color to easily fill the crevices of the mold. Using a plastic dropper, carefully fill the designated section of each bar in the mold. Try to fill as thoroughly and quickly as possible to avoid reheating. Allow all colors to completely harden. Once hard, spritz with alcohol and fill in the remaining mold with white soap. Be sure the soap is under 130ºF before pouring so that the colors do not bleed into the white soap. Allow soap to harden for 24 hours and unmold! 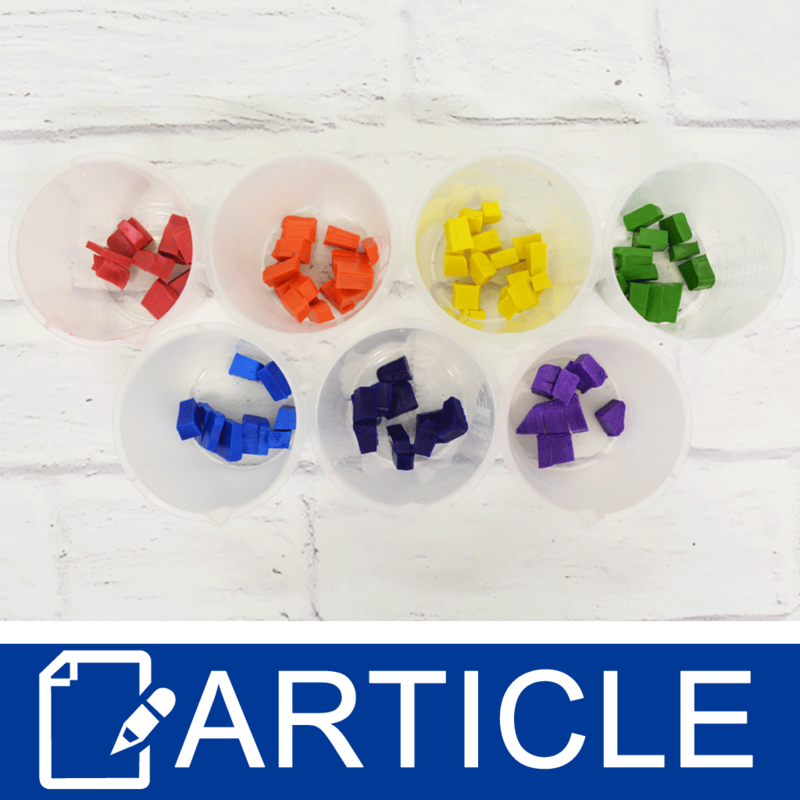 "When you are adding the color to your soap base do you usually melt it while melting your soap base or add it to the melted soap and stir to melt in the heat of the melted soap base? " Staff Answer You can actually melt the blocks either way. Adding them to the soap beforehand makes it a bit easier so you know the bars have completed melted into the soap.